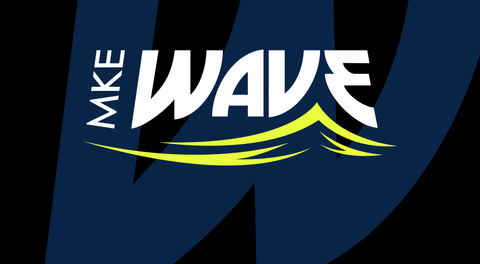 The Milwaukee Wave had one of their best performances of the season tonight at the UW-Milwaukee Panther Arena. Thanks to the Milwaukee Wave defense and goalie Josh Lemos, the Wave will record their 18th win of the season. Final score: Milwaukee Wave 9, Florida Tropics 1. The Wave kept an incredibly strong defense throughout the entire game; only letting one out of 23 shots pass from the Florida Tropics. Tropics midfielder Victor Parreiras scored the one goal for the Tropics with just seven minutes left in the game. Wave forward #99 Andre Hayne drew the first goal, just minutes into the start of the game. #9 Robert Renaud, #18 Isaac Pereyra, #24 Max Ferdinand, and #26 Ian Bennett each scored 2 goals of their own afterwards. Milwaukee Wave goalie Josh Lemos was named Professional Construction INC’s ‘Hardest Working Player of the Game,’ and was also the face of tonight’s giveaway- a bobble head presented by Midwest Orthopedic Specialty Hospital. The Wave will now hit the road to take on the St. Louis Ambush on Friday, March 29th. Match will take place at The Family Arena. Kickoff is scheduled for 7:35pm CDT. Immediately following their road trip, the Wave will be back at the UW-Milwaukee Panther Arena on Sunday, March 31st to take on the Orlando SeaWolves. Kickoff for the Rumble in the Jungle Game is scheduled for 1:05pm CDT.